Hello friends. I hope you are having a great Sunday. Ryan and I have been laid up in bed most of the day watching football and just relaxing. It feels good being I am now 37 weeks and 6 days. This is such an exciting time for us. We have so much going on and there barely seems like there is enough time to get everything done. In a matter of 10 days we will have a new little baby boy to love and care for. It feels like we have been waiting forever to meet him. We have taken fall by a storm getting things ready for his arrival. There are still other things that I want to accomplish but it might not all happen within 10 days but that won't stop me from slowly checking items off my to do list. I don't know what it is about fall/winter babies but we have a bunch. It's the perfect time of the year to snuggle up a squishy soft newborn and just forget about everything else. Waking up to hold, cuddle and feed a baby with frost on the ground and snow falling. I love this new season even if it's freezing cold. Being home with my family has been so nice for me. I see this area completely different than what I did when I lived here before. Time away did good as well, but there is something special about being able to spend so much time with my loved ones. And now we have a new baby coming into the mix making our hearts grow even more. We have really prepared as much as possible for his arrival. I am hoping that in the days coming home from the hospital we can take some time to just bond and adjust as a new little family. Of course there will be many moments of the older kids and family coming to get to know their new family member. But I am really looking forward to the three of us sharing all the special moments in the first few days. A lot of the reason I have not been recording as many videos or writing blog posts is because my life is so much more full now. I am always spending time with someone I love. Very rarely am I alone. So in those alone moments, I just try to find simple ways to relax. A hot bath, a favorite show on Netflix or Amazon, enjoying a cup of tea and book. Just little things that help me relax if only for a few minutes. I don't mind the busier schedule. I actually love it. Life has certainly changed in a drastic kind of way, and its so much better than I ever thought it would be. I don't know what my schedule is going to be like after he is here. I am hoping to post more...make more videos and share with you guys more. I have truly missed you all. I didn't know what direction this blog should go after everything happened with Scott. But this has been such a happy place for me, its hard to imagine not having it. I have neglected it some but hopefully somehow, I will make more time to dedicate here. 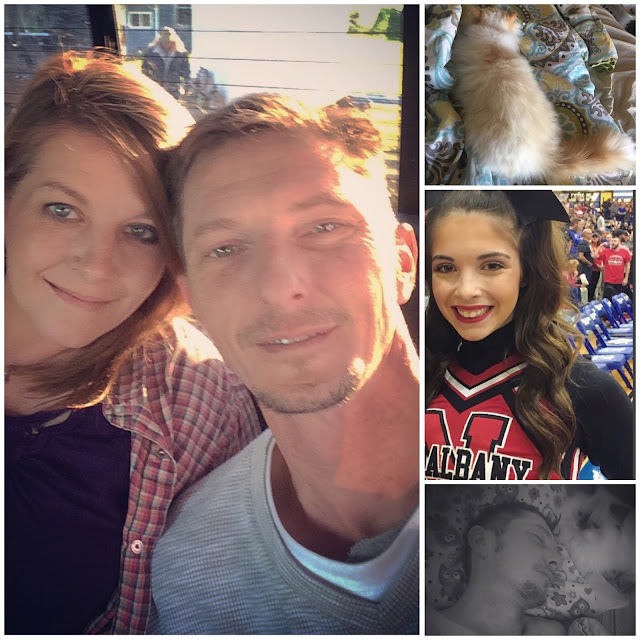 I want to share sweet family photos and updates, share more videos like how my schedule has changed yet again, what I am using to plan out that schedule on a daily basis. So much I want to share. Right now I am actually uploading a food haul on youtube that will be live on Monday. Monday's actually use to be when I would share a week in review with photos and most of the time a vlog from that week as well. It would be nice to get back to that point. I am glad I still have this space and community to continue to share with you. A while back, I deleted my facebook page. I really don't know why but it was one of those days when I was really considering stepping away for good. Clearly that didn't happen so I have made another page. You can find it and follow it right here. I know so many of you followed what was happening with blog posts and videos through that page. I'm sorry. I wish it could fix it but there is just no way. So I encourage you to follow the page so you get updates when browsing facebook. You can always follow on youtube and instagram as well. All are great ways of keeping up with our little family and journey. I already posted most of these photos on instagram but I know not everyone follows that way. 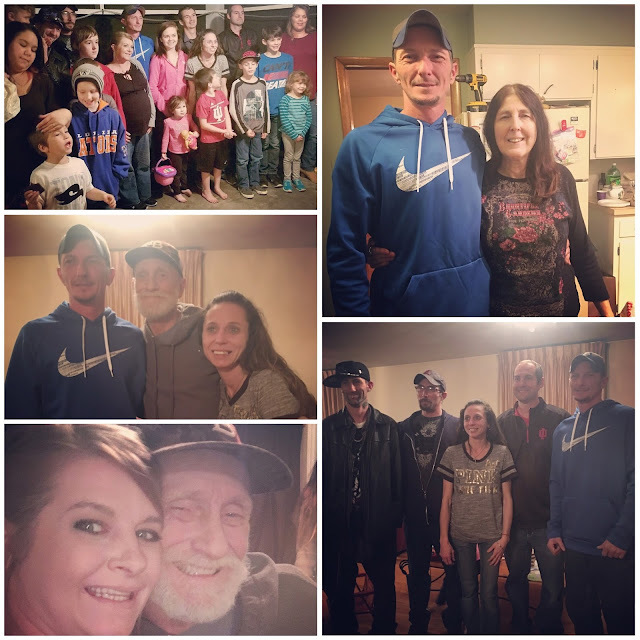 Here are a few photos of our Thanksgiving with Ryans family. It was a really nice time. Lots of good food and good company. I hadn't seen some of them in many many years. It was nice catching up and watching all the kids play together. I have no idea why we didn't take photos with mom. I think we were just too busy eating and visiting with everyone that it totally slipped our minds. It was also a hard day on me physically and I just got tired super fast. However, here are a few of the photos that I did take over the past few days.